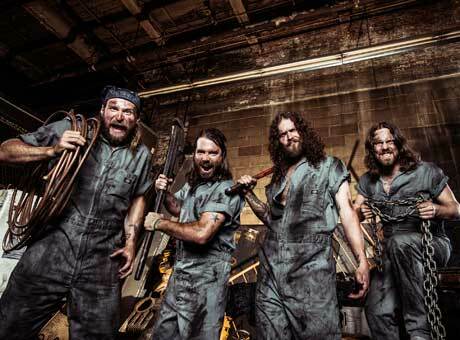 Hard-rocking Juno winners Monster Truck spent part of the summer touring as Alice in Chains' opening act, but this December, they will be heading across Canada as a headliner. The Canadian run lasts for much of December, as the outing will kick off on December 4 in Vancouver. From there, the band will head across the Prairies and go east as far as Quebec, eventually backtracking to Ontario and wrapping up in Hamilton on December 22. They have 13 Canuck shows in all. In the weeks prior to these Canadian shows, Monster Truck will tour Europe. The European shows are with Vista Chino, formerly known as Kyuss Lives! See their full international schedule below. These shows are in support of Monster Truck's debut album, Furiosity, which came out earlier this year through Dine Alone Records.